The BizMOOC team is currently planning round tables in 9 countries to discuss the results with stakeholders, target groups and policy-makers. Block your calendars to join the event in your region and get more in-depth information on our extensive findings we have gathered in more than 2 years. 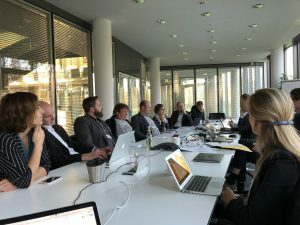 Photo from the first round table in Potsdam.